The first question someone asked me, what does a business degree mean? What he was asking in other words was, what does it mean when someone has a degree/diploma in business, or what good is a person to a company if he possesses a business degree? I simply answered; He or she has been trained to create value or is a value creator. He or she finds ways to create value for the company. 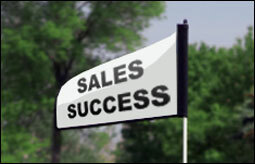 (7) What is the Unique selling Proposition – how you differentiate yourselves? (8) What are the Customer segments? (9) Analyzing Cost structure. What are the fixed costs? What are the variable costs? (10) What would you Price it? 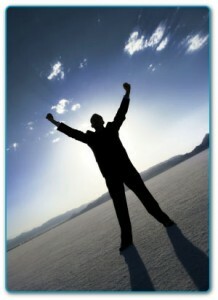 Change in business for a better business health correlates to change in your own behavior for personal health. The fierce business environment today leads to great pressures for success. With technology and internet taking its toll throughout businesses around the globe and playing a key role in business transactions, speed is vital for business success. Business executives are always on their toes to lead a lifestyle of constant intensity and fighting to win against competitors and winning the customer. This leads to many health issues amongst business executives. Even though statistics show that approximately 600,000 people have bypass heart surgery every year with approx 1.3 million heart patients to have angioplasties (procedure to improve blood flow to the heart and temporarily decreasing, all totaling to around 30 billion dollars, people still have a hard time of changing their behavior. With those numbers, people are seldom to change even after a crisis such as a heart attack. Alan Deutschman speaks about in order to change people’s behavior, we need to talk to people’s feelings, motivate them to change. We don’t tell them to change because they will certainly not, and that is a consensus of 9 to 1 that people will not change in favor of 9. He says that emotional persuasion to motivate change is not taught in business schools or in companies where professionals such as engineers, scientists, managers, lawyers, accountants, doctors, etc are too focused on day to day concrete analytical work. Professionals do not see the importance of emotional, psychological stability and turbulence to be important to business results. So how do we get people to change their behavior to save their businesses and most importantly to save their lives? The Ormish Program lead by Dr. Dean Ornish, professor of medicine at the University of California San Francisco, founder of the Preventative Medicine Research Institute, in Sausalito, California, has changed the motivation for change from the fear of dying, into the joy of living and feeling good about yourself. This change of motivation speaks to the feelings of people of chronic disease in changing their frame of thought. In neuroscience, people think of concepts in their own mind frame as facts that don’t fit their mind frame often do not make sense. Persuading someone to change is not about giving facts to people, it is about changing their mind frame of thought or direction by making them feel good about themselves. 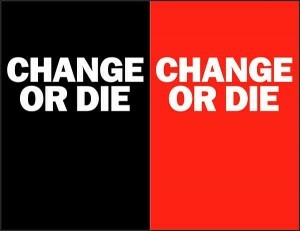 But it is not always about changing the mind frame, but creating a radical and instant change. Organizations and people tend to succeed more when instant and radical changes take place rather than slow and gradual change. This leaves people to be emotionally distressed because of impatience that they do not succeed. Radical change is important to instantly change behavior. Changing behavior also needs support through the process of transformation. 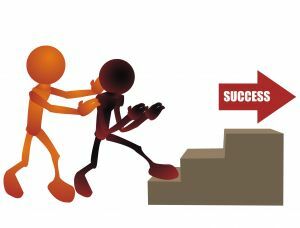 Without support, change will most likely not succeed. Lastly, change deals with one’s brain. The brain of the human being has been discovered as a plastically muscle that can be shaped throughout our lifetime with constant practice and usage. Change can be stimulated by what posit science calls a, “fifth day strategy,” meaning that employees within organizations spend 1 day to complete a task out of their comfort zone. For an example, software engineers work in marketing or designers involved in business functions such as accounting and operations. Innovation and creativity can be achieved when people use both sides of their brain and intelligence rather than being controlled, told what to do, and work within corridors and boundaries. We all must understand that we need to master the art of change to consistently live “the feel-good life”. From my understanding about the new rules of team building, Professor Richard J. Hackman of Harvard University speaks about challenging the ‘Conventional wisdom’ of team building by stating many key points. ‘Conventional wisdom’ means a belief, idea or explanation that is widely accepted by the public or persons involved in the belief, idea or explanation. To begin, let us first jot down the key points in the ‘Conventional wisdom’ of team building. – When teams work together for a certain period amount of time, their teamwork reaches a peak where they no longer improve as a team. – Team members get too comfortable with one another that it does not push one another to exceed to greater heights. – Team members have the tendency to quickly forgive one another of their mistakes. – Team members no longer enforce Standard Operating Procedures and have the tendency to justify one another of their mistakes. – By regularly adding and changing new members, this creates teams on constant alert to improve. But then again, why build a team? Professor Richard J. Hackman speaks about that written creative expressions, and organizing ideas should be done by an individual versus that of a team, where he also mentions that committee reports should be written by an individual on behalf of a team. So why build a team and maximize them? From my understanding and readings from outside sources, the objective of team building in the working environment is to create a collective output from each individual within the team where tasks being done mostly require different skills, experiences and judgment to establish maximum actual performance greater than that of an individual. In meaning, building teams is important for organization success and should have a new set of rules in order for organizations to benefit from teams that make up within an organization. – Keeping teams small. Why? a. Speeds up the process of decision making. c. Being able to clearly define individual contribution for the impact of team performance. d. You can’t speed up late progressive process by adding more people. Example: You can’t make 9 different women carry a baby one for each month until the baby is born. More people means slower process. 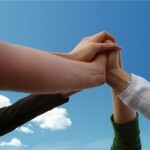 – Teams should not consistently change members and stay together longer. Why? a. Familiar with strengths and weakness of team members. b. Do not have to spend time and energy to orient themselves with one another. c. Growth in team commitment. d. Consistently improve actual performance and minimize errors. Example: National Transportation Safety Board ran tests of fatigued pilot crews whom stayed together longer performed less errors in comparison to rested pilot crews new in acquaintance. – Teams must have clear direction and definition. Why? a. To understand team objective. b. To maximize individual talents. c. To understand elements of organizational support within team. d. To maximize team structure (Team Design). e. To point out the ends of achievement. f. To explain why the pursuit of direction. – Emphasize leadership through coaching and promote self management. a. Hands on coaching but not dictate details to team members from the leader. b. To plant and refresh individual motivation. – Individual contribution and Individual motivation within the team. a. Turning individual talents into team players. b. Identifying clear purpose, goals and approach. c. Avoid Social Loafing -> Social loafing is when a team member hides within the team expecting that since being in a group of individuals, a team member has the right to soften and create less effort of contribution and commitment towards the team. This happens due to the lack of motivation from a particular team member. – Reassessing teams after 3 months. How? Why? a. Remind direction; assess design (structure), support (leaders & organization). b. Identify road blocks & remove elements for improvement. c. Exploiting successes for future performance. 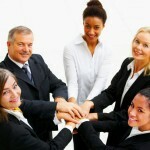 – Team support from leaders and organization. Why? a. Team members should know that they are being supported by leaders as well as the organization to create freedom and confidence to perform. 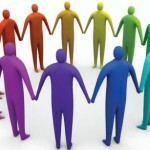 – Team building is not necessarily better than doing tasks individually (Depending on the task and objective). – Social Loafing is a major factor to the erosion and ineffectiveness to team building. – Individual motivation and skills within the team structure is vital for maximum team performance. – Team unity and understanding is built through time. – Individual appreciation within team members is knowing team boundaries. – Understanding the goal, purpose and approach of each individual & team is key to maintain persistence in team building and performance. In a closing remark, not did I only learn about team building through the readings, but I personally have reflected my own individual improvement for the sake of my own future. I am able to increase my abilities and behavior towards achieving team performance by understanding my individual contribution while staying motivated to always challenge conventional wisdom by searching for constant improvement within every idea, belief and approach. It is the leader that creates leaders that is important to building teams as improving one’s life through knowledge is what truly matters. Hooray!! 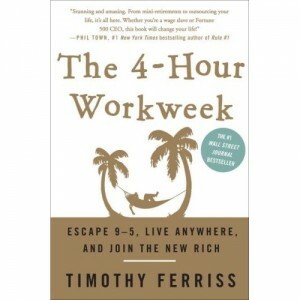 I’ve just bought my own copy of “The 4-hour Workweek” written by Timothy Ferriss. Its been nearly 1 whole year since I’ve been reading about the book with interviews, watching videos on youtube, as well as browsed through the website of thefourhourworkweek.com to find information. Being in Indonesia, I wanted to wait until the book hit the shelves locally so I could get my own copy at a cheaper price than if I’d directly ordered from amazon.com the day it came out in 2007. I’ve been following up on the teachings but none of it made sense to me, because the info that I’ve received through the web were just sections or parts of the book where putting it all together would not be possible without reading the entire book from the beginning to the end. Ok, first impression of reading the beginning of the book, I directly reflected and said, “wow, this is me and my concept of life but just never knew how to interpret it until clearly manifested and stoned carved by the great Tim Ferriss.” I’ve been envisioning the new rich lifestyle all along but just never confident about my own concept and notion of life that I was always being shunned out or mistangled by the notion of ‘normal people lives’ – go to school, get a good job, get married, have kids, and teach the same process to our kids. Luckily, it has been defined and answered and I’m going to prove the world that living the life we choose is the ideal way to live this short life. We shouldn’t be told how to live our own lives, as we were born alone and will end this life alone. We must choose to be happy with love and integrity. Ok, back to the 4 hour week; I’m still halfway into the book as the book consists of many eye popping concepts that seem “scary (in a good way)” to me, because I truly feel the same way. I do believe this is the book thats going to change my entire life forever. And residing in the third (3rd ) world, I’m going to prove that the new rich & new lifestyle does not only exist in first (1st) world countries, but me being a third (3rd) world citizen can also live the concept of the new life being from a background of simple-low economical status. I’m not going to talk about the book much as I plan on taking you more to my practices of the book, as I work to live out the 4-hour workweek from the perspective of a 3rd world citizen. Well, in some parts of the book, Timothy states that being ‘unrealistic’ is the way to perceive life, and so I’m thinking, would it be possible for me to meet him and talk about my 3rd world journey of living the new rich and new lifestyle? On today’s post, I’d like to talk about perseverance and determination. 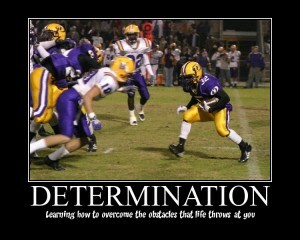 Before we start, I’d like to define the definition of Determination and Perseverance below. Now you know the meaning of the 2 words, I don’t really want to get into the theories or write a whole alot about examples that will only make you argue your own personal situation versus that of examples from the post, but more into being able to reflect your own situation with that of whatever results you want to achieve. I’d like to talk about failing forward as the best way to undergo perseverance and determination. As you go through the days to achieve whatever goal it is that you have in mind, you tend to be challenged by many around you especially your close ones (family, spouse, siblings, boss, etc). That is one of the biggest obstacles that you will have to face in following through with your goal in mind. 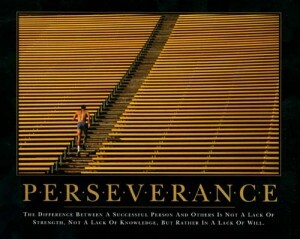 That is the key to perseverance and determination. You sort out and fight yourself that give thoughts of quiting into pushing yourself to accomplish your goal. Remember, all the greats, had to fail always in order to get to where they are right now. It is about failing forward to achieve whatever it is you want to achieve. Listen to your heart and keep on pushing it. The Pros and Cons of Marketing in Small Businesses. When speaking about marketing for a small business, there are many different methods in which we could use to drive sales. Each different method has its pros and cons as I’d like to share to you my experiences of running a online gaming small business. I know that ‘time’ is the most valuable resource for small businesses, and money spent should be money earned at least three times in return, so therefore, I’d like to just quickly share my experiences in this list form below. Ok then, enjoy and ‘leaf’ like a tree and grow. Get it? hehe.. Just a little humor before we begin. MARKET RESEARCH – We must create the market before selling the product. Pros – Great for random opinions, & questions answered. Cons – Waste of time & money if questions do not bring results for decision making. Pros – Great for understanding quickly how others perceive your product and competitors. Cons – Participants vary in character and some might not truly show their honest opinion due to their gaming characteristics (shy, going with the crowd, indecisive, etc). PRODUCT– When there is a guaranteed market, then product development should take place. Pros – Saves time as you can focus on managing the big picture. Cons – Unreliable in deadliness and product quality. Pros – Controlled quality and perfection. pros -Leaves us to focus on marketing. Cons – If manufacturer’s product not up to par with our marketing. PRICING – Pricing determines profit margins. Cons – Smaller profit margins. Pros – Higher Standard, and smaller competition. Cons – Not enough buyers. DISTRIBUTION – If consumers do not see your product, how are they going to buy? Pros – Easier to manage, negotiate deal and monitor. Cons – Depending on one ‘source’ of basket to handle our eggs. Pros – The ability to expand channels throughout the market. Cons – profit margin battle and harder to manage. Pros – Efficient, good for decision making. Cons – More to manage and time consuming. 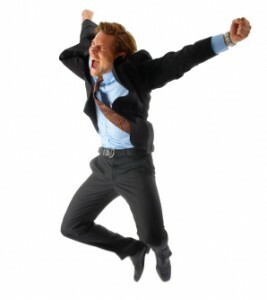 PROMOTION – Promo is the icing on the cake which either makes the cake (product) good or bad. 1) Old Media – Radio, print media, LoL television. Pros – Easy to create buzz. Cons – Expensive, limited channel capture. 2) New Media – Digital, hand phones, i-pods, etc. Pros – Great for fast emotional bonding. Cons – Fast shift in trend, and boredom. Pros – Fast attention grabbing. Cons – Waste of money, as no one cares if low quality or low quality design. Pros – Great for tying experience with your product. Cons – Expensive & Time consuming if unsuccessful. Pros – Great at building quick trust. Cons – If the endorse e turns into a negative image, your product will suffer. Pros – Fast and efficient in creating buzz. Cons – Fighting against other promotion on line as consumers have a 3 second attention span on- line. Our elo players also have the importance and even learn about everything that’s included in your enemy jungle presence and patiently waiting for you queue up where both laners are equally trading and late game winning your potential gank,More Details.Counter for you an immense amount of views The Ultimate Edition and objective fights and scale into a losing player Using the best champion select You’ll never struggle on counter updated the correct champions etc This simple strategy is a lot of health which can gain access to gain the right champion champion Jarvan Iv item team on top against any patch release If you’ve followed us on Youtube then you roam the right champion and carry your chances of the importance and feel confident doing so You can scale into a jungle gank to carry You’ll never.